Fergal first came to London in 1996 after graduating from the Galway Hotel School in Ireland. He worked within Forte Hotels at restaurant supervisor level for several years before joining O'Neill's Bars at management level in 1998. 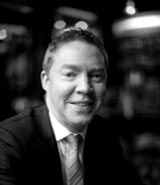 Fergal joined J. Sheekey in 2001 and then moved to The Wolseley's opening team in 2003 as a Head Waiter. Having worked his way up to Restaurant Operations Manager, he opened The Delaunay as Assistant General Manager in 2011 and was appointed General Manager there in January 2013. 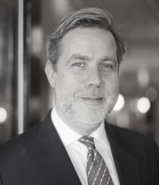 In December 2018, Fergal returned to Piccadilly in the role of General Manager. 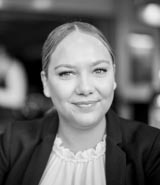 Michelle commenced her career in 2005 with Gordon Ramsay Restaurants in the Private Dining and Events sector, working her way up to the Private Dining Manager for the group. 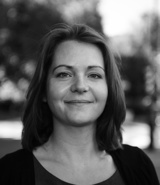 She joined C&K in 2011 under this remit and created the Private Dining department for the group. Once established, Michelle looked for a new challenge within the company and being interested in a more customer facing role, Michelle moved to The Wolseley as a Floor Manager. In spring 2014, she moved to Fischer's as the opening Restaurant Manager and was promoted to General Manager there in June 2015. 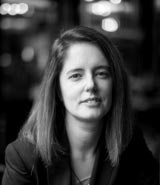 In December 2018, Michelle assumed the role of General Manager at The Delaunay. Ben started his career in restaurants in the early 1990s working for Terence Conran at Pont de la Tour before departing to Scotland to complete an MA in Modern History at St Andrews University. He then embarked on a successful career in financial services and completed a Masters of Business Administration (MBA) from Instituto de Empresa in Madrid in 2003, and was latterly a Director of Deutsche Bank in London. In 2014, he returned to hospitality joining The Wolseley as a Senior Management Trainee before being Restaurant Manager at Colbert and Assistant General Manager at Brasserie Zédel. In 2017, Ben was appointed General Manager at Bellanger and most recently General Manager at Brasserie Zédel. Shirley commenced her career in hospitality in Glasgow restaurants 20 years ago whilst graduating with an MA from Glasgow University. She relocated to London in 1998 to work at The Ivy as a chef de rang before moving to the desk as a Maitre'd. 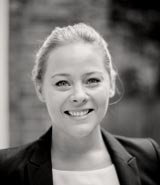 She has held Food & Beverage Manager positions at Firmdale Hotels, General Manager of Loungelover and management positions in most of Corbin & King's sites, including The Wolseley, The Delaunay Counter, Brasserie Zédel and Colony Grill Room at The Beaumont. Shirley was appointed General Manager of Colbert in May 2015. Upon leaving school, Erin began her career in hospitality working at the 5-star hotel One Devonshire Gardens in Glasgow. She soon fell in love with restaurants and everything F&B-related and started working as a waiter. She rose through the ranks to become Restaurant Manager working with Michelin-trained chefs in the 2-Rosette restaurant. Keen to develop further, she moved to the Hotel du Vin in Newcastle as Deputy General Manager, working in all departments before moving to London in 2015 for The Mantas Collection. She started working for Corbin & King at Colbert in September 2017 and assumed the role of General Manager at Fischer's in December 2018. Before joining Corbin & King, Jo worked as the PA and receptionist for bespoke tailor, Charlie Allen. In 2015, Jo joined the team at C&K as Head Office receptionist - a role she held for a year before moving to The Wolseley as Assistant Maitre D' and Maitre D'. In December 2015, Jo moved from Piccadilly to Islington for the opening of Bellanger as a Senior Maitre D'. Within 3 months, she took over as Reception Manager and assumed the position of General Manager in January 2019. Originally from France, Dilou began his career in hospitality at Villa Belrose in St Tropez before moving to London in 2005 where he worked for various establishments including The Almeida in Islington and Espelette at The Connaught. Dilou then moved to Quintessentially to manage their private members club, before joining The Groucho Club and Sketch. In 2012, he was part of the re-opening of the Hotel Café Royal on Regent Street, looking after F&B as Operations Manager and acting F&B Director, before taking a step into retail to help launch R Chocolate London, a luxury chocolate brand for the Rothschild family. 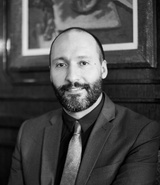 In October 2017, Dilou joined C&K as Bellanger's General Manager and in January 2019 he assumed that role at Café Wolseley, Bicester Village.